How has your week been? Mine in all honestly has been really stressful but I'm trying to stay positive. The end of the month is almost here already and I just still can't believe it. Lol. 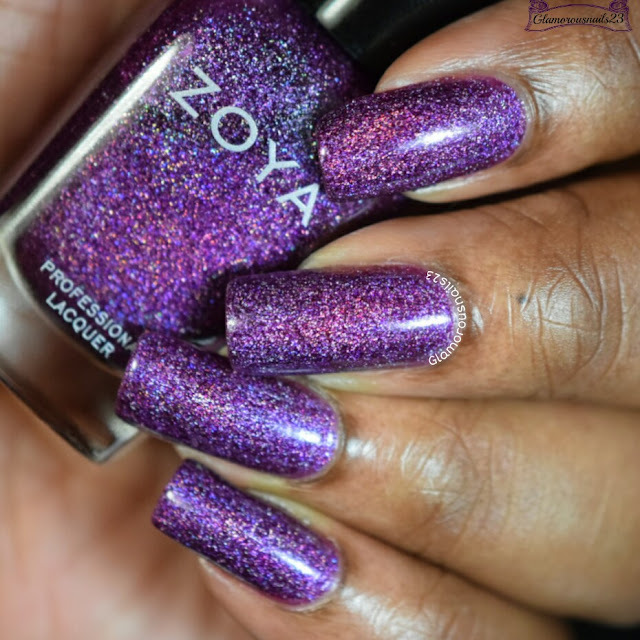 I have this gorgeous purple polish from +Zoya Nail Polish to share with you. See more after the jump! 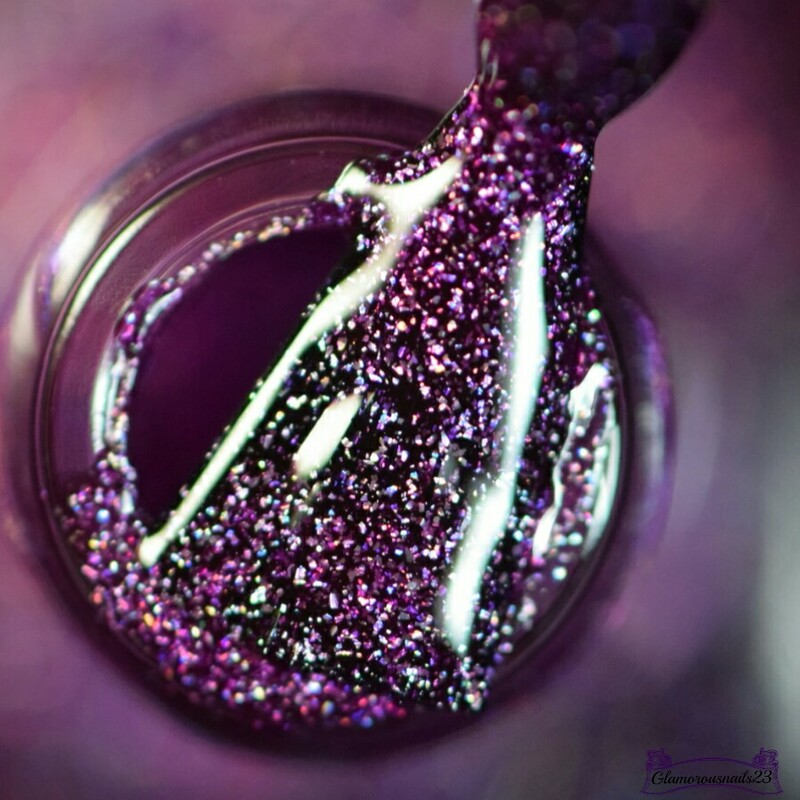 Aurora is a red tone dark purple scattered holo with dense glitter polish from the Ornate Holiday 2012 Collection. The formula was sleek and was also a bit sheer with the first coat. Aurora built nicely is such a lavish color. I'm bias because I love anything purple lol. Shown is three thin coats with a glossy top coat. Is this a polish that you would wear? Do you own Aurora or any of the polishes from the Ornate Holiday 2012 Collection? How many Zoya polishes do you own? Let me know in the comments down below! I love Aurora. 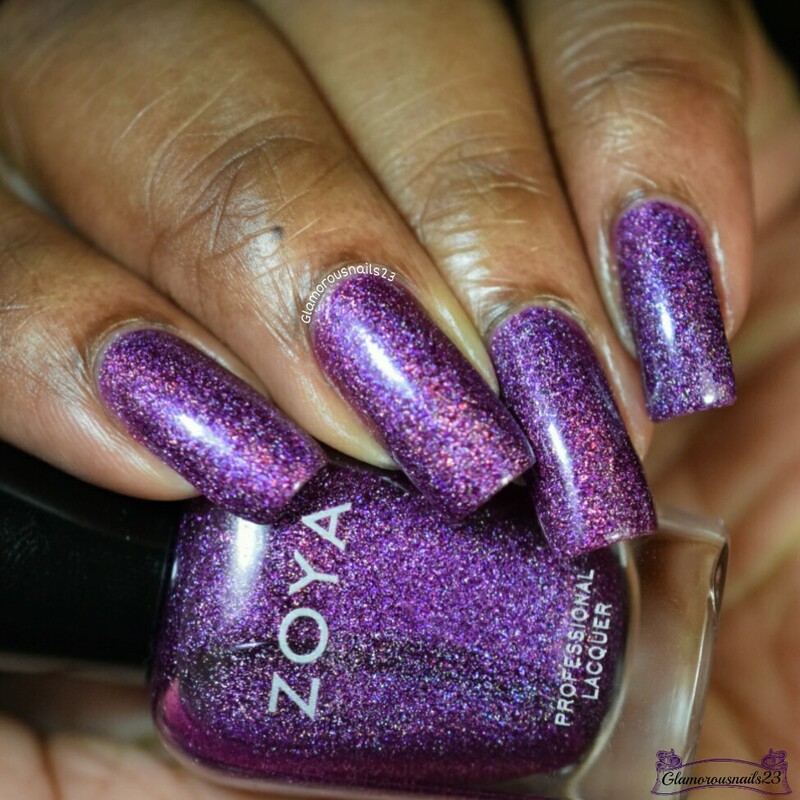 I really hope Zoya does more shades like it! Faboulous nail polish - just perfect for a night out! That is a stunning polish! I love the depth of color and sparkle! I love it so much! Lol. What!!!??! You need to wear this!! It truly is! Thanks Amanda. Gorgeous shade. Zoya is my first love in polishes. Your photography is stunning. Thanks Uma! I really love Zoya polishes!